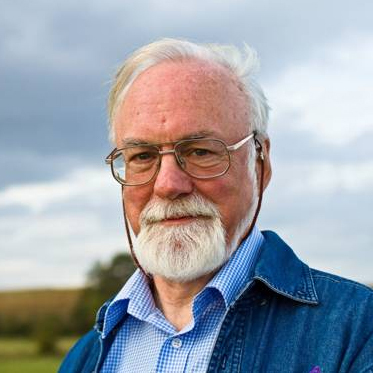 This April, composer John McCabe celebrates his 75th Birthday. With a total of 227 works in the catalogue, including 36 works for orchestra, 22 works for soloist and orchestra, 36 works for chorus and 34 for solo keyboard, McCabe’s catalogue has broad appeal across all genres. From deciding from the age of five and a half that he wanted to be a composer, McCabe’s thirst for composing has never faltered. He continues with a busy writing schedule which includes recent commissions from the BBC Philharmonic Orchestra, the English Baroque Choir and the Carducci Quartet. This season has so far seen a major focus on his chamber and piano music at the RNCM, a world premiere of his trumpet sonata, Sonata after William Byrd's 'Haec Dies' for Trumpet and Piano, and a Composer in Association post at the English Symphony Orchestra for the entire season. For a greater insight into John, his interests and musical ideas, please visit this YouTube playlist. Joybox – Commissioned by BBC Radio 3 for the BBC Philharmonic Orchestra in 2013, this short work was premiered at the Proms and conducted by Juanjo Mena to great critical acclaim. Watch the performance here. Trumpet Concerto, La Primavera – Commissioned by trumpeter Simon Desbruslais, the world premiere was performed in 2012 by the Orchestra of the Swan / Kenneth Woods. A recording from the premiere will be commercially released later this year. Psalm-Cantata - Commissioned by the English Baroque Choir and their musical director Jeremy Jackman, this work is a welcome addition to the catalogue of works for chorus and ensemble (with soprano and baritone solo). The work will soon be available so that it can be performed with organ instead of the original instrumentation (1200/0100/tenor drum/chamber organ/str). Silver Nocturnes (String Quartet No 6) - premiered by Baritone Marcus Farnsworth and the Alberni Quartet, this work sets poems by three of the so-called “Silver Poets” of the sixteenth century: Henry Howard (Earl of Surrey, and one of the composer’s favourite poets), Sir Edward Dyer, and Sir Philip Sidney. To act as prelude and postlude, McCabe has chosen an extract from a speech by John of Gaunt in Shakespeare’s Richard II. This work is an ideal programme accompaniment to Barber’s Dover Beach. Many CDs have been released in recent years of a wide variety of his music, from the complete ballet work Edward II, orchestral and chamber music, to piano and choral music. To hear a selection of works, please access the playlist here.